Christmas is just around the corner; which is the perfect opportunity to spend some time with your senior loved ones. Moreover, it’s a perfect time to encourage them to try out some of these engaging activities that can help improve their health and well-being. Jigsaw puzzles can benefit the mind of the elderly by forging connections between both cerebral hemispheres. Putting the pieces of the puzzle all together requires focus, summoning the short-term memory. Moreover, assembling a jigsaw puzzle lowers your heart rate, reduces blood pressure, and slows breathing. Seniors who need help engaging in stimulating activities can benefit from professional home care in Bala Cynwyd, Pennsylvania. Not all seniors have the same care needs, which mean they don’t need the same home care services. Another activity that can boost a senior’s cognitive skills and mental ability is regular socialization. 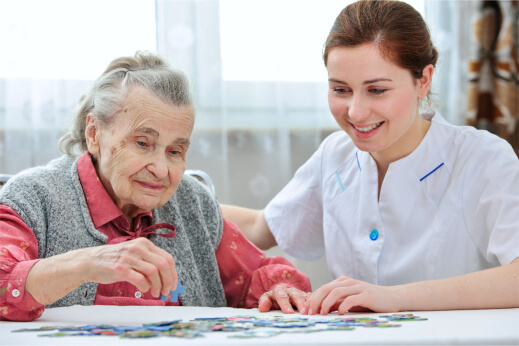 For families living in Bala Cynwyd, Pennsylvania, respite care can be a marvelous solution for you, especially if your aging loved ones need companionship and socialization for a few hours a week or just need little assistance with activities of daily living. Through volunteering, seniors can socialize, exercise, and feel productive and happy. They can serve as a greeter, usher, or lecturer. Or perhaps, if they’re physically able, they can bring decorations. Seniors who have serious medical conditions can benefit from our medical service in Pennsylvania can help you with that matter. We will help you be active and healthy to be able to engage in these activities during Christmas. Christmas-themed activities are meant to promote health and happiness, but many seniors may not be able to enjoy these activities. Luckily, they have MOG Home Health Care Services to help them with their needs. This entry was posted in Seniors Christmas Activities and tagged Home Care, medical service, respite care. Bookmark the permalink.